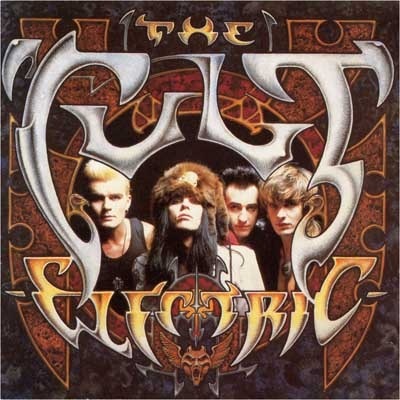 THE CULT Announces Electric Album U.S. Tour UPDATED With Full First Leg Dates! The Hollywod Reporter has confirmed that THE CULT plan to hit the road this fall. THE CULT singer Ian Astbury announced the band will play its 1987 album Electric in its entirety in one of their "longest U.S. tours for a while." The album, popularized by breakout single "Love Removal Machine" cemented THE CULT as a hard rock band, a transition from its early days of psychedelic pop. Now Electric will be performed start to finish as part of a "THE CULT Electric 13" tour, The Hollywood Reporter said Saturday. The band will play a full two sets each night of the tour, dates for which will be announced Monday, Astbury said. "It's going to be one of longest U.S. tours for a while. We are working on an album for 2014 so this is a way to break that up and keep the momentum from Choice Of Weapon," he said. So far two U.S. dates have been booked: Aug. 3 in Sturgis, N.D., and Aug. 16 in Biloxi, Miss., The Hollywood Reporter said. As expected, the first leg of dates for THE CULT's Electric 13 tour were announced today and covers more than 30 shows before the band heads to the UK for a string of dates in October. It was also announced today Beggars Archive will release a two-disc set on CD and vinyl called Electric Peace, which will pair Electric with the abandoned Peace album. No word yet on a release date.